Why hold onto an unwanted car when you can Sell Your Audi Cars For Cash in Brisbane? Selling of an old car is a necessity since it not only occupies your space but also harms the environment in the long run. Also, with the money you can make from the sale of cars for cash it will be beneficial to you. So, go ahead and give us a call and we will buy cars for cash from you. If you are stuck on a thought that I will Sell My Audi Car Brisbane when the time is right, let us tell you that now is the right time. Many people lose out on great offer because they think they will get a better price. This may work sometime but not every time. Metal rate keeps on fluctuating, and you never know when it will reach its lowest. So, the best bet is to decide to Sell My Car In Brisbane now. Also, sometimes people are not sure when should they let go of their car. We list down few of the common reasons people decide to sell old cars for cash. The car gets ruined during a natural disaster such as floods, and the repairing cost is way higher than the car’s value. It no longer serves the purpose. The car gets severely damaged in an accident and is beyond salvage. You need instant cash for personal emergencies. We have seen it all so whether you want to get rid of the ca,r you no longer use or car us unusable, we will take it off your hands in a matter of days or even hours. 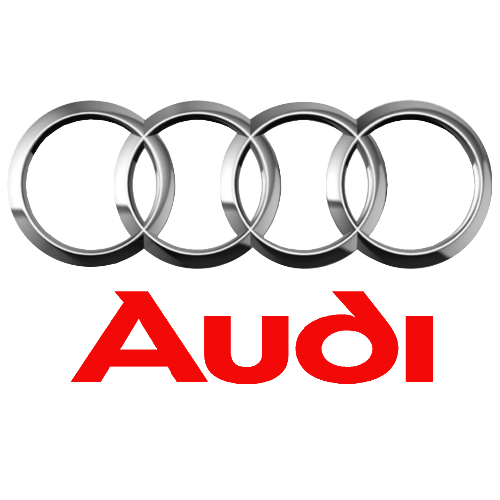 We buy and deal in all Audi models such as Audi A1-A8 series, Audi Q3/5/7, Audi R8, Audi TT or any other SUV, Sedan, super mini or sports car under Audi brand; we are interested. Besides Audi, we are open to car make popular in Australia. Whether you have a UTE, campervan, bus, or truck, we want to buy it from you. Cash For Audi Cars Brisbane is one of the most popular methods of getting rid of an unwanted car. Under this scheme, we pay not only top cash for junk cars but also pay handsome cash for damaged cars, cash for unwanted cars, or cash for accidental cars without any bias. Often clients hesitate to approach us if their car is severely damaged. However, we understand the value of metal and know we can recover the cost even if the car is not in a usable condition. We, therefore, never reject a vehicle due to its condition. Also, an old car needs to be properly discarded to avoid harming the environment. With Cash For Cars Brisbane deals, we ensure that no useless vehicles are lying around creating an environmental hazard. Sometimes replacing a faulty part can enhance the performance of the car. But, most often expensive cars have expensive spare parts. However, with us as Audi Car Wreckers Brisbane, you can easily find quality spare parts at a cheaper rate than the market. In fact, with our regular role of Car Wreckers Brisbane, we have access to spare parts for all cars and their models available in Australia. So, if you need replacement parts visit us and we are sure you will find a match for a steal prize. So, whether you want to get cash for junk cars or cash for used cars, we are the right choice for your mind and your pocket. You can easily get rid of the car on the same day and make some fast cash for cars with minimum effort. Often Audi Car Removals Brisbane is an expensive affair. The primary reason being the towing vehicles do not come cheap and therefore whoever you hire for Car Removals Brisbane will quote you a higher price. However, with us, you don’t have to worry about the car removal cost. We offer free car removal service to all our clients. Furthermore, we are the best in the business, and you will have no complaints in the manner we handle car removals irrespective of the shape, size and the condition of your vehicle. You can contact us by picking up the phone and speaking to us on 07 3082 6471. For detailed information and instant cash for cars online quote, you can visit us at https://www.sellmycarinbrisbane.com.au/contact-us/ . Additionally, you can also drop us an email at [email protected].